When I was in Clearwater, Florida recently we visited Clearwater Aquarium. Those of you with kids especially will know it as the base of the film A Dolphin's Tale. The story centres on the friendship between a boy and a dolphin whose tail was lost in a crab trap. The film was a smash hit and the actual dolphin on which the film is based, Winter is still at the aquarium today. 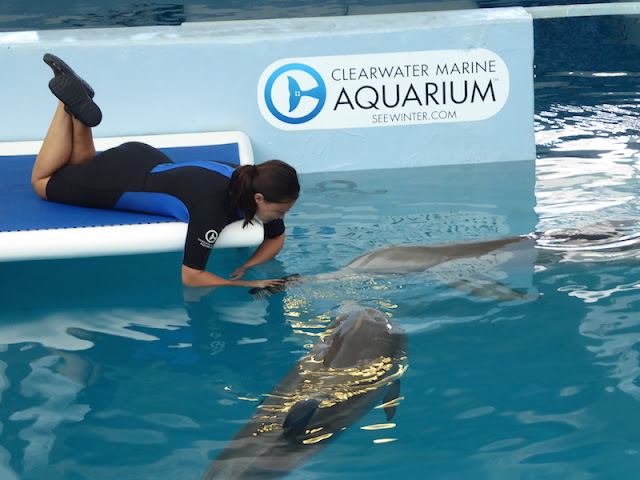 Clearwater Aquarium's mission is based around Rescue, Release and Rehab and wherever possible sick animals are treated and released back into the wild. As well as this they educate and inform on the environment and conservation and perform and collaborate on scientific research in animal behaviour, animal illness, treatment and the prevention of marine animal decline. It's a real working animal hospital and scientific research unit. 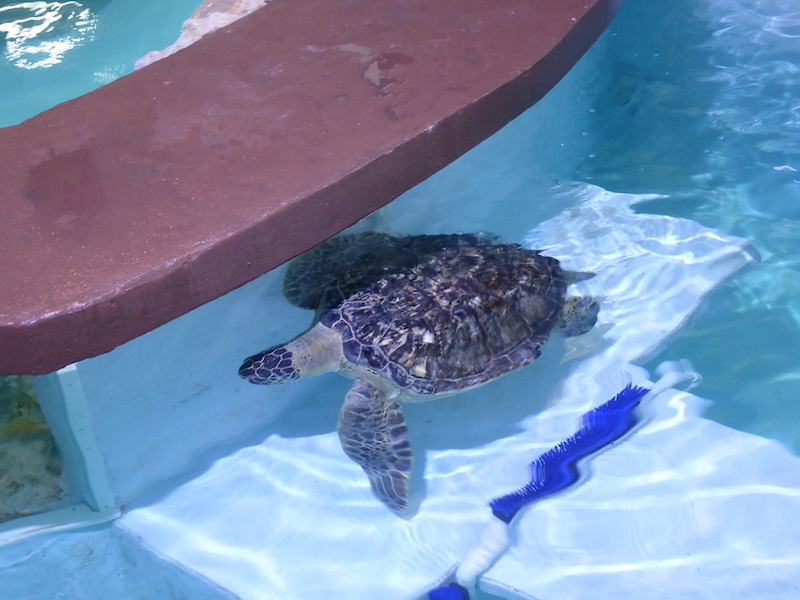 The many animals you can see at Clearwater Aquarium include dolphins, otters, sharks, rays, turtles and pelicans. 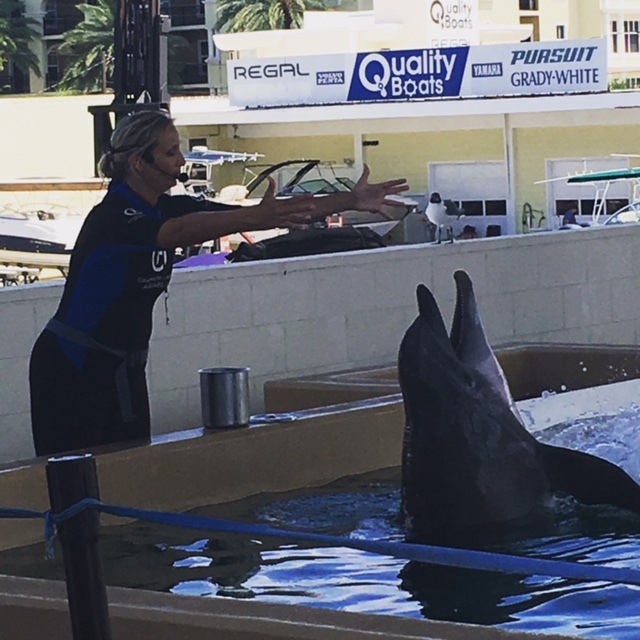 Due to the popularity of the film A Dolphin's Tale and its sequel A Dolphin's Tale 2, the aquarium does have a number of attractions based around Winter and Hope (another dolphin featured in the sequel). In December 2005, Winter who was a baby dolphin at the time, was caught in a crab trap, rescued, and taken to Clearwater Aquarium. Unfortunately due to damage to her tale she had to have it amputated. She had to learn to swim again, and a unique plan to attach a prosthetic tail was devised. That is the true story of Winter and the story on which the film is based. Throughout Clearwater Aquarium you can see props from the movie and re-built scenes as well as meet Ricky, who played Rufus the pelican, and of course meet Winter. When you visit the aquarium you can see the animal hospital. Here Incendio a turtle was being operated on to have tumours removed from his body. 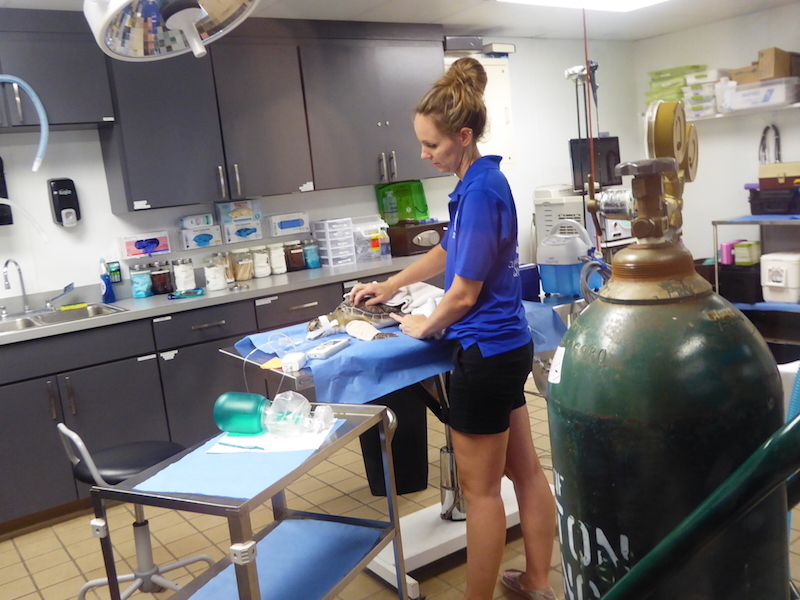 It was interesting to see the inside of a working hospital for marine life. In December 2002 a female Atlantic Bottlenose dolphin and male calf became stranded stranded near Gibsonton, Florida and were transported to the Florida Aquarium and then to Clearwater Marine Aquarium for long-term medical care. As they arrived on Christmas Eve, they named the cow Noelle and her calf, Nicholas. Unfortunately Noelle passed away from third degree burns and a respiratory illness. Nicholas was also suffering from third degree burns from the sun and spent months in 24 hour care being treated. 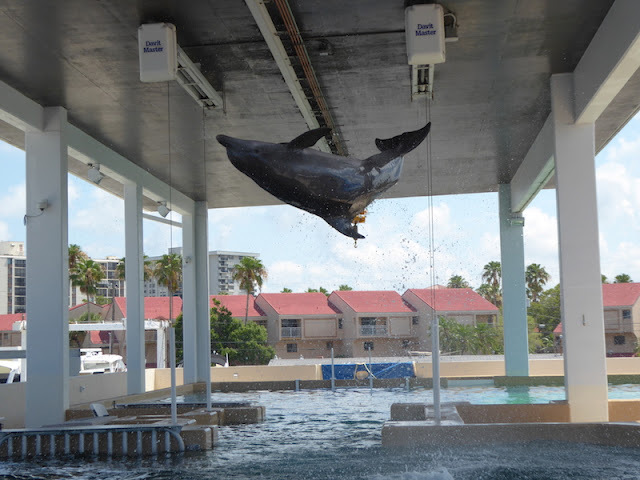 Due to the length of time in captivity he could unfortunately not be released back into the wild and so he is now a resident dolphin as Clearwater Aquarium. He lacks the necessary survival skills, such as hunting and to protect himself from predators, all of which he can only learn from his mother. They have trained Nicholas to lay still for blood samples and examinations. He also is known for doing the odd jump if he gets things right! At the aquarium there are a number of tours at an additional price and we decided to go on the Sea Life Safari. The one and a half hour tour which is guided by a marine biologist takes in a scenic journey to a shell island. On the way the boat casts a net and pulls it up to count and record the marine animals. This information is useful for data collection and to measure any changes in the animal life of the area. The marine life is also passed around in containers before being released back into the bay. The marine biologist was very knowledgable and this is excellent idea if you want to learn about the local marine creatures. The net caught a variety of fish and even a couple of seahorses. I didn't realise sea horses are monogamous but the marine biologist said they are. There is loads more to do and see at Clearwater Marine Aquarium and I have only have touched on a few things. It's definitely a family friendly place and with general tickets starting at 22 dollars it's a reasonably cheap day out. With the ethos being on Rescue, Release and Rehab and the important scientific work they are also involved in it's also an educational, informative and inspiring place. 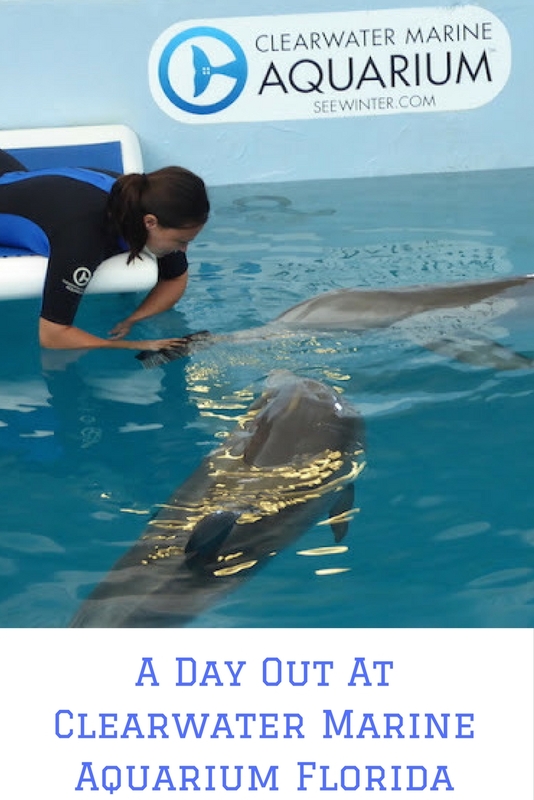 If you are thinking of visiting the aquarium or the Clearwater area, check out this post on family friendly places to stay in Clearwater Beach. This sounds amazing. Would love to visit with the family. The kids would be thrilled. It was a really interesting visit. It's good to read about an aquarium that really cares for the animals, I sometimes worry that not all do! They really do care here - their motto is Rescue Release and Rehab. The work they do in the hospital is amazing. 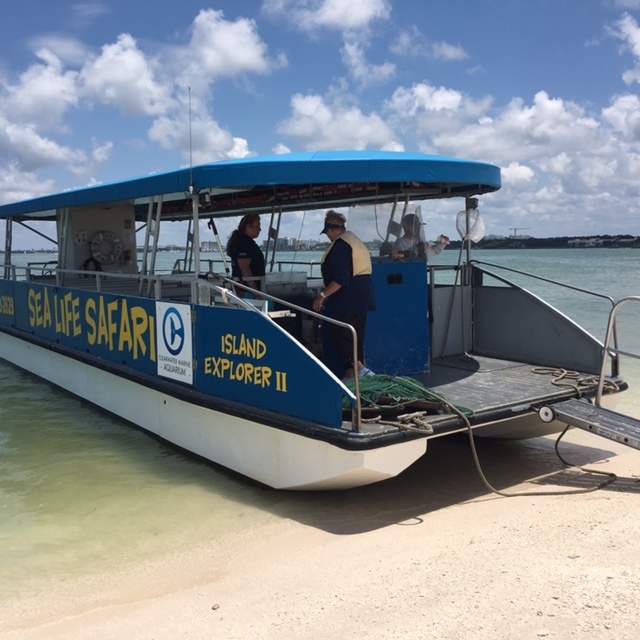 There are other water tours you can take too which show different aspects of CMA's work. Sounds like such a fantastic place. Although I've never been there, I knew I recognised the place, it's from Dolphin's Tale! 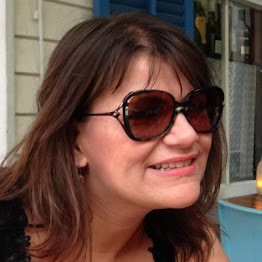 Hope you get the chance to take the boys one day Vikki. This sounds like an amazing place to visit and from your blog post you can really get a sense of how well they care for the animals there. I'd love to visit Florida one day and if I'm lucky enough to get the chance then we'd be sure to visit Clearwater. It is well worth a visit if you get the chance one day. I've seen videos of the prosthetic tail. Science is awesome. I wonder how many animals are actually released though? At the end of the day it is a business above anything else so I suspect their released numbers reflect this. Clearwater Aquarium sounds and looks like an excellent place to visit with children. Thank you for posting some great educational photos. If you don't have children it is still worth a visit. Beautiful pictures! I love the fact you can go to the animal hospital when you visit the aquarium. It sounds like such an amazing place to visit. Yes the animal hospital has large windows so you can see what is going on. 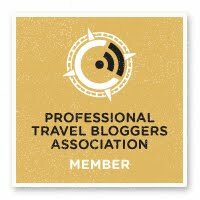 If you go to Orlando it's worth a day trip to Clearwater to see the area and visit the CMA.